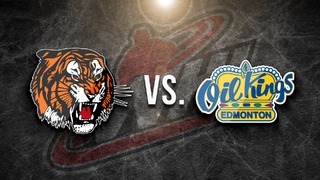 The Medicine Hat Tigers battled with the Rebels on Saturday evening in Red Deer and came back from a 2-0 deficit early in the game to win 7-3. The Tigers called an early timeout after the Rebels’ second goal was scored and that was the game changer. Afterwards, Bryan Lockner and Tyler Preziuso scored a pair of goals while James Hamblin, Josh Williams and Trevor Longo picked up singles. Mads Sogaard stopped 25 of 28 shots faced. Medicine Hat is 11-12-1-2 so far this season and tonight’s game will be the first of two Central Division games at home this week. Saturday the Tigers host the Hurricanes during their Annual Teddy Bear Toss game. These two Central Division Rivals have met twice this season with the Tabbies coming out on top in both contests. 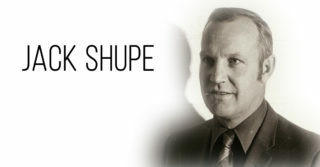 The Tigers won the first game 4-1 at home Oct 24, 2018, and recently won Saturday’s match in Red Deer 7-3. Over the past five years, the Orange and Black are 9-10-0-1 against the Rebels. Although they have won the two previous meetings, Medicine Hat will come into tonight’s contest with an underdog mentality knowing the Rebels are a tough, well-coached team. The Red Deer Rebels are the top team in the Central Division with a 16-7-1-0 record. Last night they battled the Prince Albert Raiders and were defeated 4-3. Red Deer is led by 2016 Buffalo Sabres draft pick Brandon Hagel with 40 points (15G, 25A). This season Arshdeep Bains, Josh Tarzwell and Dawson Barteaux have been the most effective Rebels against the Tigers. All three combined for the first two goals in Saturday’s contest giving them 2 points in 2 games played against the Tigers this season. 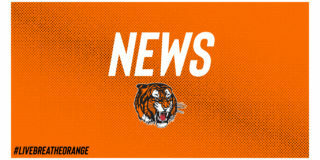 Mads Sogaard is the 6’7 Danish goaltender in his first season with the Tigers. The 17-year-old Aalborg native has quick lateral movement, is incredibly patient and calm in net. He has great positioning and rebound control. 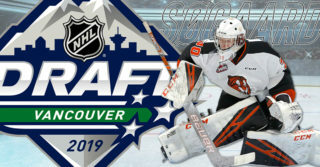 Sogaard was drafted by the Tigers in the 2018 CHL Import Draft and he is the first import goaltender to play in Orange and Black since Marek Langhamer who was drafted in 2012. James Hamblin is a smart, hard-working, two-way forward who leads the Tigers by example. Hamblin is the team’s top point producer with 10 goals and 18 assists so far this season. 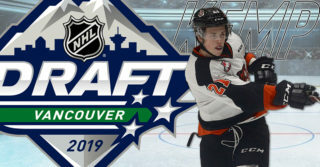 The 19-year-old Edmonton AB native has deceptive speed, sees the ice well and is not afraid to set up his teammates or light the lamp himself. Look for the Captain to lead the way in tonight’s contest. Josh Williams has 3 points (2G, 1A) in the last 3 games. 5 Tigers have 2 game point streaks – Dylan MacPherson (2A), Ryan Jevne (1G, 1A), Logan Christensen (2A), Tyler Preziuso (2G, 2A) and Bryan Lockner (3G, 1A). A total of 13 Tigers have a point or more in the two games played against the Rebels so far this season. Captain James Hamblin is leading the way with 6 points (2G, 4A). Joel Craven scored his first career WHL goal against the Rebels Oct. 24, 2017. The Tigers won the game 5-3. Ryan Jevne has been the Tigers’ go to set up man on the power play this season, 10 out of his 14 assists thus far have come on the man advantage. The Tigers are 5-4-1-1 at home this season. The Annual Teddy Bear Toss game is Saturday, Dec 1t, 2018, vs. the Lethbridge Hurricanes. 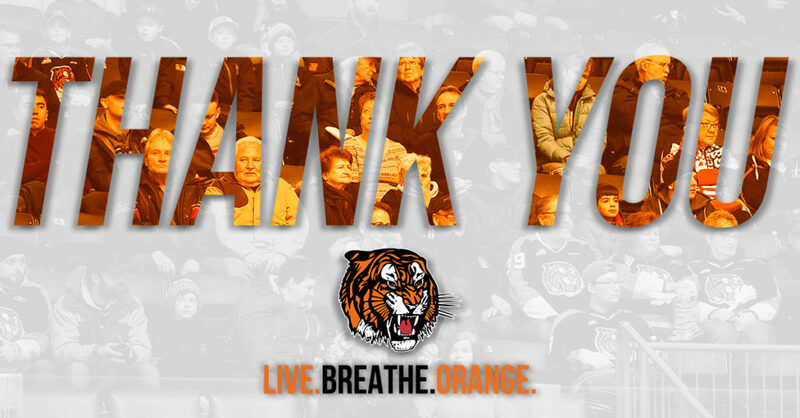 Fans have until Friday, November 30th to enter Subway’s Tigers Sub of the Month Contest to win a jersey autographed by James Hamblin. Contest details are on our website. Medicine Hat News Santa Claus Fund was born out of community spirit, that spirit that shines through during the Christmas season and at its core is the “spirit of giving”! In 2017, the Santa Claus Fund was able to provide Christmas to 425 local families with 908 children. Already this year the Santa Claus Fund has provided 133 local families with toys for their children and financial support to purchase a Christmas meal. By the end of the giving season they anticipate that this number will have grown to nearly 800 local families! The Santa Claus Fund will be accepting boardgames and cash donations during the game.